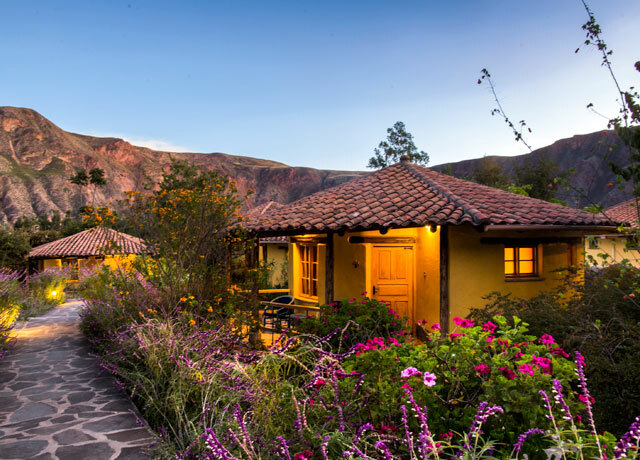 Sol y Luna is an award-winning luxury boutique hotel set within the natural oasis of Peru’s famed Sacred Valley. 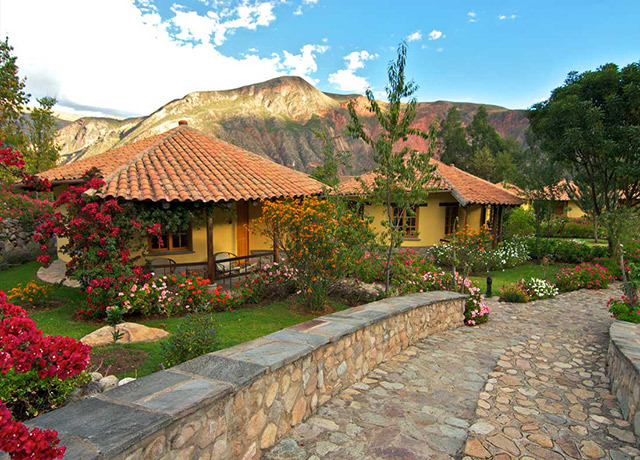 Fourteen bungalows dot the lush grounds, backdropped by the peaks of the surrounding Andes. 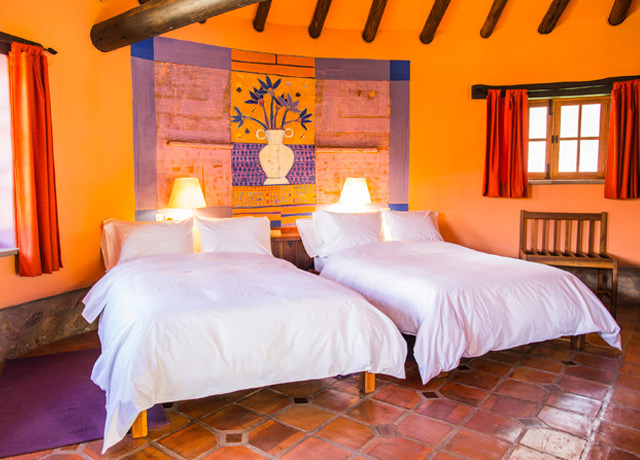 Constructed of locally made adobe bricks, handcrafted stonework and rustic log beams, each colorful bungalow is built in harmony with the natural environment and has a private flagstone veranda from which to admire the glorious views. 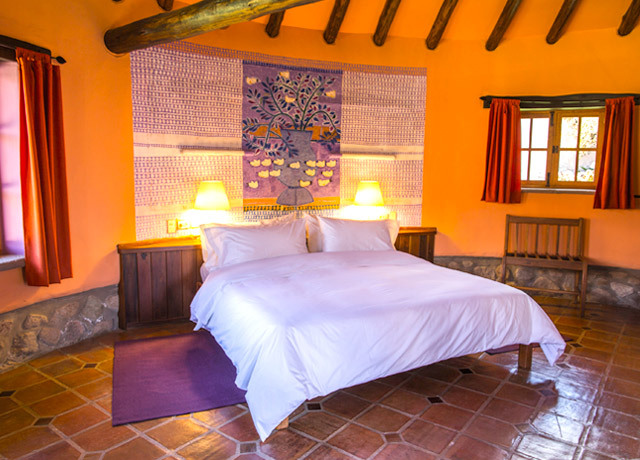 Spacious interiors are decorated with authentic local folk art, while large en suite tiled bathrooms offer every amenity. 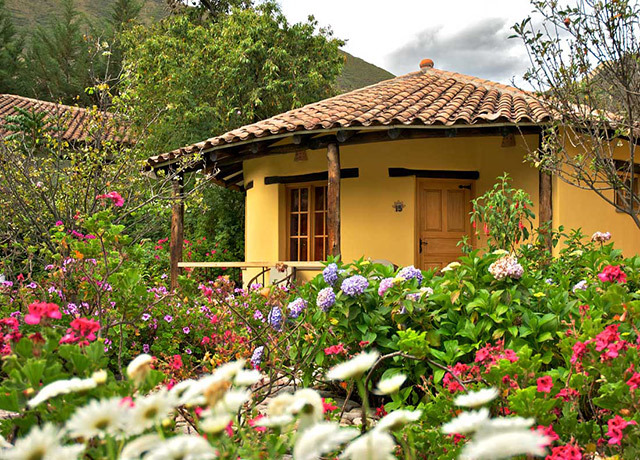 As delightful as the bungalows are, guests at Sol y Luna will be drawn outside to enjoy the lavish flower gardens, laced with nature trails and home to 35 different species of birds. Or, relax and recreate in the swimming pool, sauna or gym. Yoga and Tai Chi classes are also available, as well as an enticing selection of soothing treatments at the Yacu Wasi ("House of Water") Spa. The hotel's Killa Wasi restaurant is also a highlight, featuring creative gourmet cuisine by award-winning chefs and sourced from local artisan organic producers. Meals often showcase fresh fruits and vegetables from Sol y Luna's own organic garden. 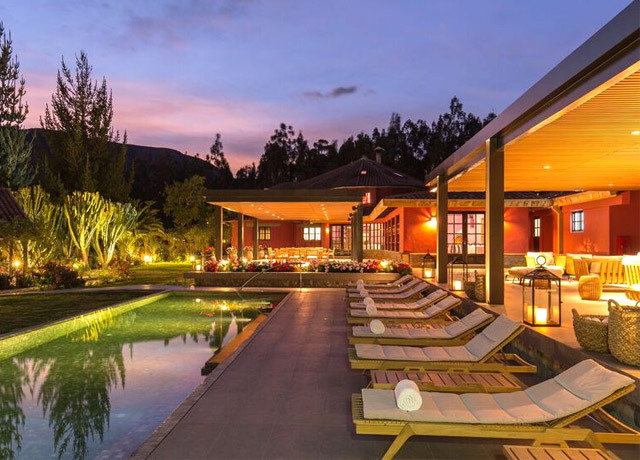 Guests at family-owned and run Sol y Luna will enjoy exceptional hospitality in an incomparable setting in the Andes foothills. 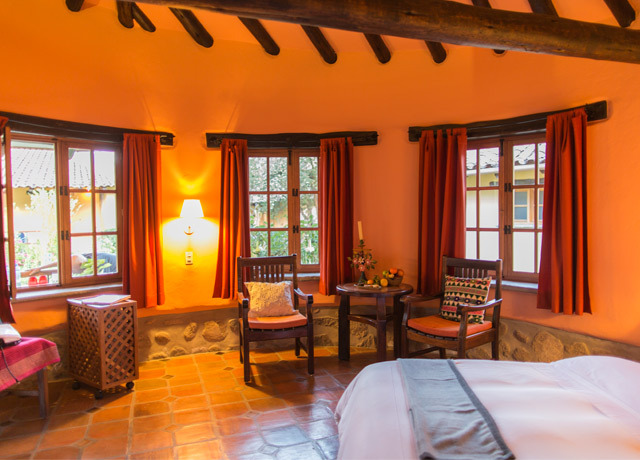 Note: The hotels we use in the Sacred Valley occasionally vary, but will be comparable in terms of quality and atmosphere.